Sharks are apex predators, and their evolutionary success is in part due to an impressive array of sensory systems, including vision. The eyes of sharks are well developed and function over a wide range of light levels. 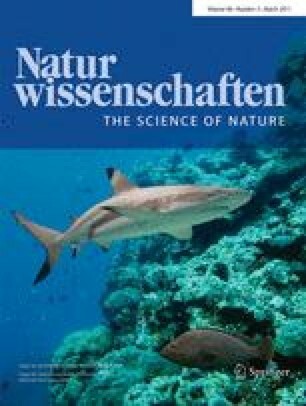 However, whilst close relatives of the sharks—the rays and chimaeras—are known to have the potential for colour vision, an evolutionary trait thought to provide distinct survival advantages, evidence for colour vision in sharks remains equivocal. Using single-receptor microspectrophotometry, we measured the absorbance spectra of visual pigments located in the retinal photoreceptors of 17 species of shark. We show that, while the spectral tuning of the rod (wavelength of maximum absorbance, λmax 484–518 nm) and cone (λmax 532–561 nm) visual pigments varies between species, each shark has only a single long-wavelength-sensitive cone type. This suggests that sharks may be cone monochromats and, therefore, potentially colour blind. Whilst cone monochromacy on land is rare, it may be a common strategy in the marine environment: many aquatic mammals (whales, dolphins and seals) also possess only a single, green-sensitive cone type. It appears that both sharks and marine mammals may have arrived at the same visual design by convergent evolution. The spectral tuning of the rod and cone pigments of sharks is also discussed in relation to their visual ecology. The authors would like to thank Scott Cutmore, Jeremy Ullmann, Clint Chapman, John Page, Alan Goldizen, Jamie Thornton, Darren Sapelli and Bob Stone for assistance in obtaining specimens, and three anonymous reviewers for their helpful comments on the manuscript. Funding was provided by the Australian Research Council and the Sea World Research and Rescue Foundation. This paper is dedicated to the late Dr. Julia Shand.